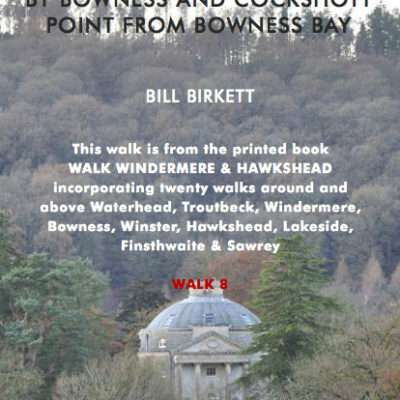 Founded on a lifetime’s local knowledge this is a practical walking guidebook to the diverse area surrounding Windermere Lake. 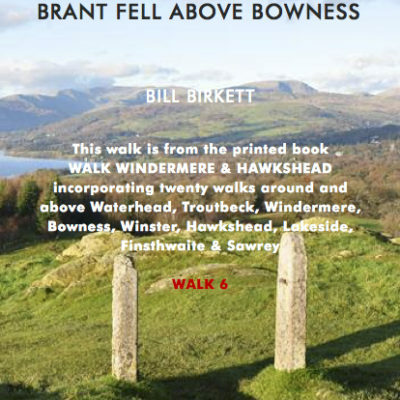 It offers a mixture of routes of varying length and difficulty; the high classic and low level fells, the rivers, the waterfall and woods, through the quarries and by the ancient byways and paths passing by farm, cottage and over stone arch bridge. 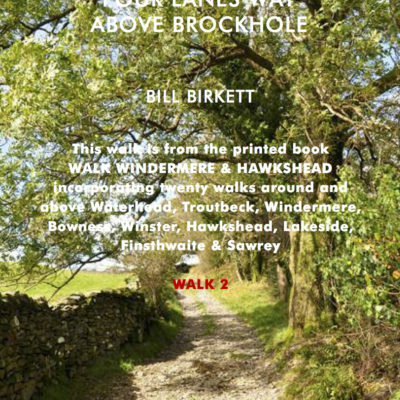 The walks are all circular and whatever the season or prevailing weather (within reason of course – be sensible) there is a good spread of choice here for most people. Furthermore, there are many excellent inns, cafés and places of rest, on or nearby all these walks. These are detailed in the Fact Sheet. The format of this guide is very simple and straightforward. 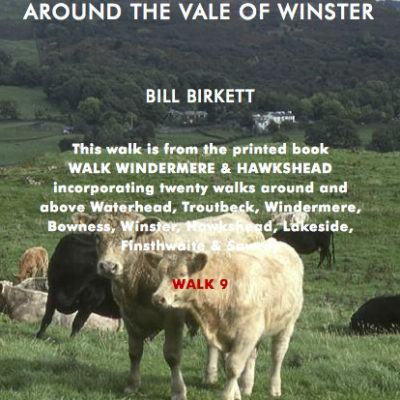 The overall maps, on the back cover and within the contents page (page v), show immediately where the individual walks lie. 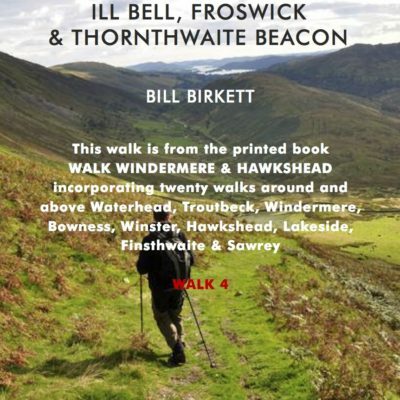 Each numbered walk is described on a double page spread, you don’t need to turn the page mid walk, with a suitably detailed map that can form the basis of the walk (although it is recommended that you also take an OS map with you for detailed reference and navigation particularly on the high fells). My photographs illustrate some of the highlights and capture the general ambiance of the walk. The Fact Sheet provides the essential information and identifies places to eat, drink, rest, shelter on each individual walk. The ringbinding keeps the guidebook flat in your pocket and always allows it to open on the page of your chosen walk. Selected adverts provide information on local facilities that I can personally recommend. 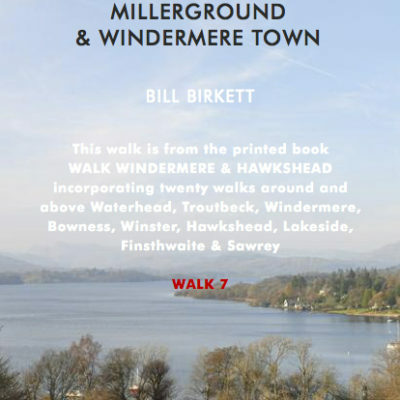 Stretching for some 11 miles, with a breadth approaching 1 mile at its widest, Windermere is the longest lake in England. I suppose this makes it special though there are many bigger, grander, greater, deeper lakes worldwide. In terms of setting and quality of landscape though, it is second to none. 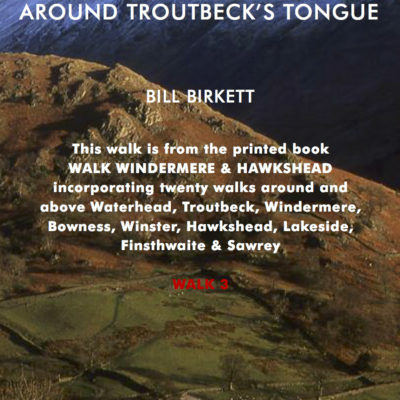 None of the other great lakes have their toe pointing to the nearby sea and their heads surrounded by magnificent fells – Fairfield, Red Screes and the Langdale Pikes. 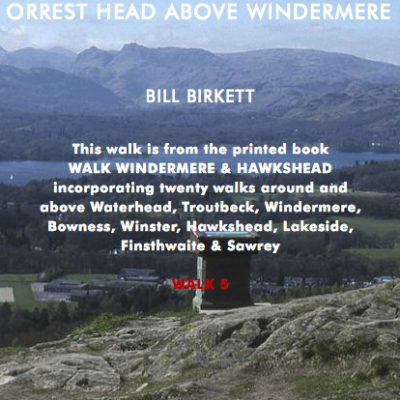 None have oak clad flanks guarded by the Coniston Fells, Wansfell Pike and The Hundreds. 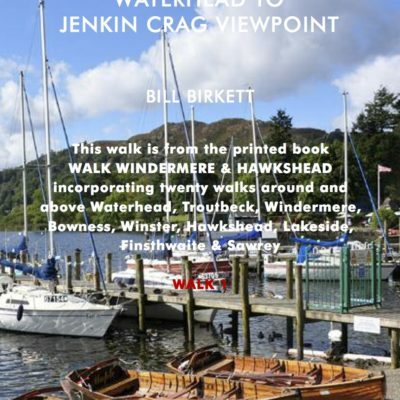 None are as accessible or have the wealth of traditional inns or choice of accommodation, ranging from campsites and self catering cottages to grand hotels, that is to be found around Windermere.